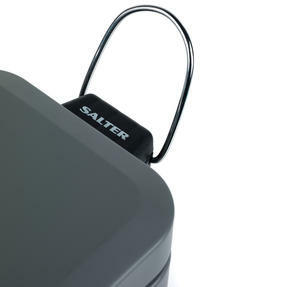 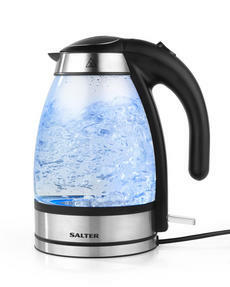 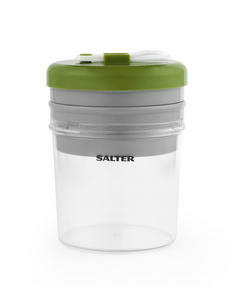 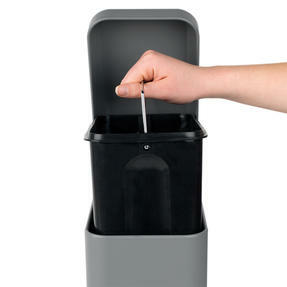 Compact and practical, this Salter pedal bin is easy to store and will make disposing of waste in your kitchen or bathroom simple. 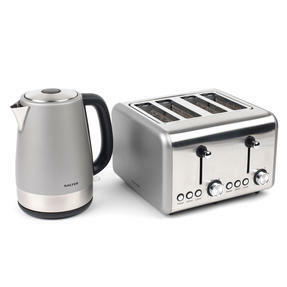 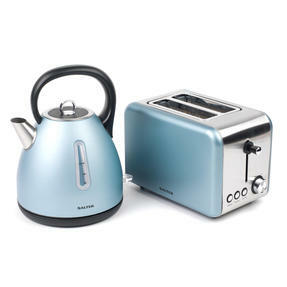 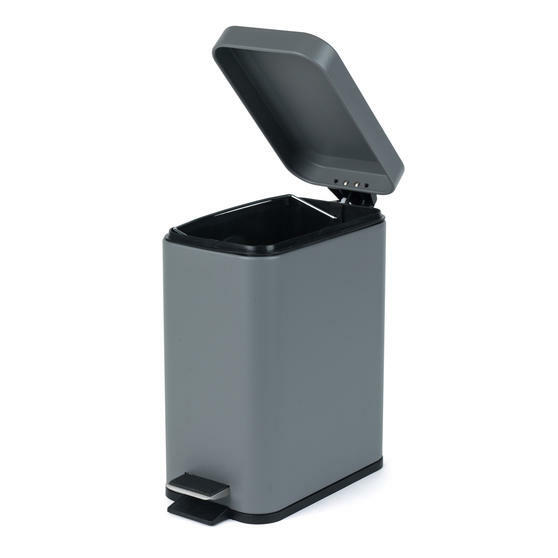 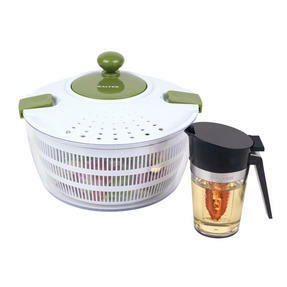 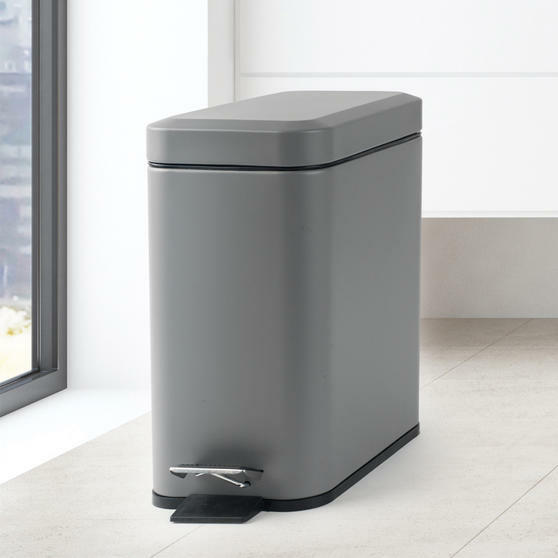 With a five litre capacity, this bin is perfect for use when throwing away waste in a variety of rooms in the home and thanks to the durable interior, disposing of the waste into an outside dustbin is easy too. 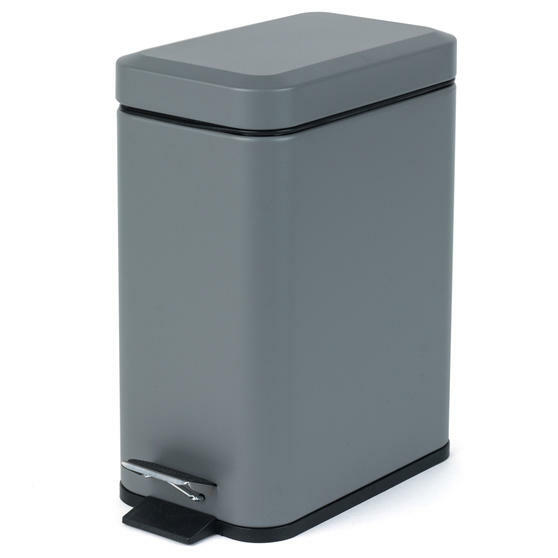 Measuring 23l x 14w x 30h cm and finished in a neutral grey, this pedal bin is sure to compliment a wide variety of home colour schemes. 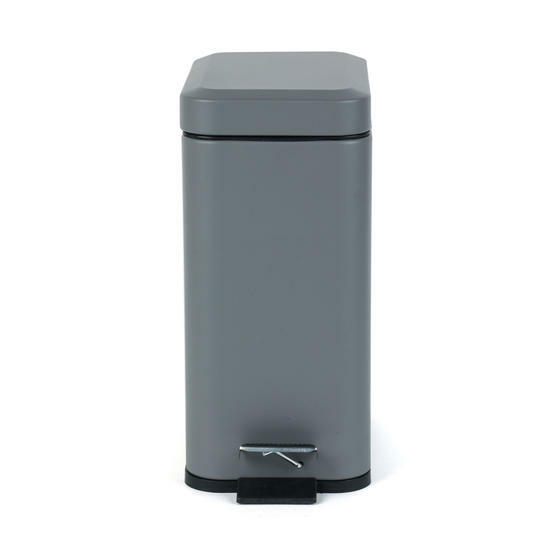 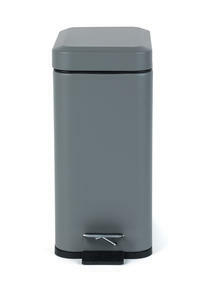 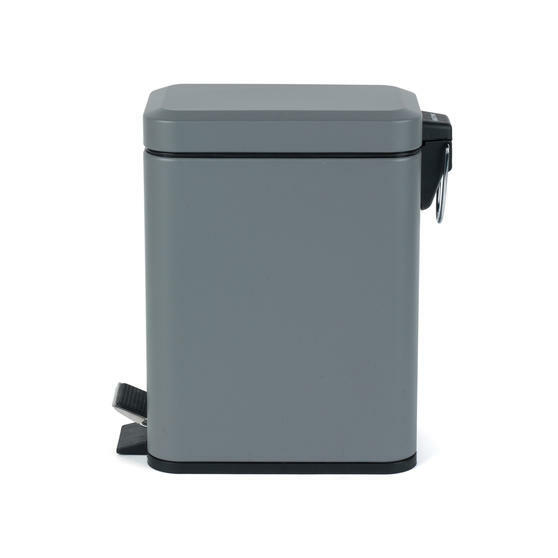 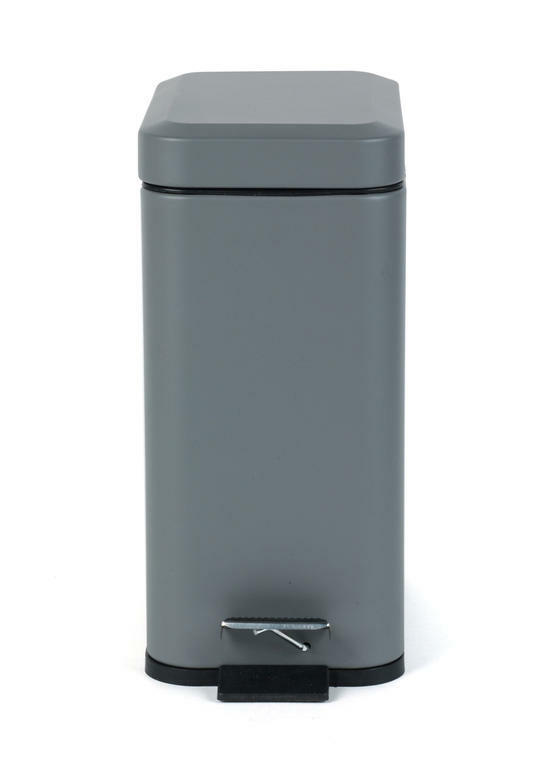 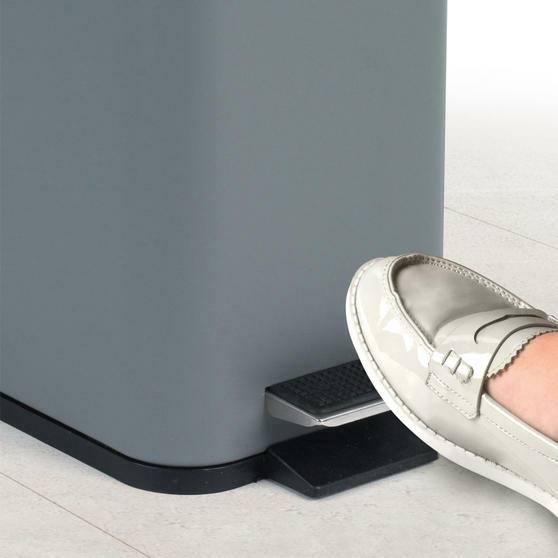 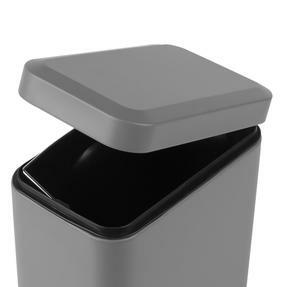 Practical and stylish, this powder grey pedal bin from Salter is a great way to ensure easy disposal without looking like trash. 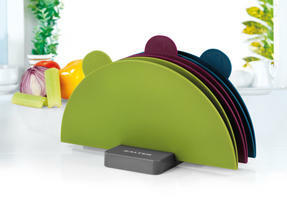 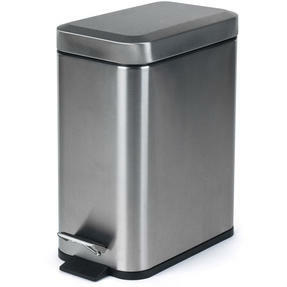 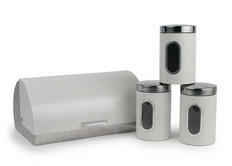 Finished in a neutral grey, this pedal bin is sure to compliment a wide variety of home colour schemes.